What does it mean to you to be FCI’s President ? Being elected as President of the FCI in not just an honour, but a privilege. Since the beginning of my career in the dog world I was determined to work for the well-being of dogs, and it has been my motivation through this years. Dogs have been my passion since a young age and when your passion becomes your life and responsibility, you are committed to it 100%. I accepted the position with humility and gratefulness and being sure that my job will be meaningful, not only for me, but for all who share the passion for dogs. How do you see your task, as the President of an organisation counting 87 members from the five continents? To be a leader of a global organisation, as important as the FCI, is not an easy task. The cultural, political and geographical differences can keep us apart, but our common dedication to the well-being of dogs brings us together. Team work and communication are important to maintain our members working together. With the use of innovations in communications, I will make sure to keep open communication with each member country. I will also establish ad hoc committees for each section of the FCI in order to maintain discussion of important issues that may affect our members. What would be the biggest threats / opportunities for dogs in nowadays society? Without doubt the biggest threats for dogs around the globe are the anti-dog legislations. Anti-dog legislations not only attempt against dogs best interests and well-being, but against the rights of responsible dog owners. As President I will give my full support to any member organisation facing these challenges, standing on clear and strong positions in defense of dogs and their owners, using all the necessary mechanisms to lobby for the protection of our dogs from unjust and baseless laws. On the other hand, the interest in cynological activities around the globe is increasing, providing a great opportunity for the FCI to grow its presence. This increasing interest also represents the increase in interest in the well-being of dogs, which should be our top priority. What will be your top priorities for the FCI? And these three main subjects will guide my work plan in the FCI for the next two years. These work areas will ensure the FCI’s future, making it relevant and ready to meet new and exciting challenges. What is (are) the main message(s) that you would like to deliver to the Dog World? It is important for dog lovers to be together and the FCI is the best way to keep us - dog lovers - together. As president of the FCI I will direct our work to ensure the good health of dogs and prevent the mistreatment of dogs everywhere. I will also improve our global presence. We will improve our website, to make it a global reference site for historical, scientific and social dog related themes. And what is(are) the main message(s) that you would like to deliver to the national canine organisations, in particular? 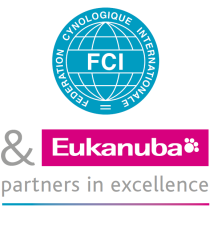 Our National Canine Organisations are the FCI’s soul, and the most important ingredient in the success of our organisation. As president of a NCO, I understand the NCO’s expectations of the FCI. As president of the FCI I will maintain direct communication with the NCOs. I will also strengthen and support all members to make their organisations stronger, understanding and supporting them in their respective national struggles. Thank you Mr de Santiago!